Hometown: Cape May Point ,New Jersey, U.S.
Died: January 3, 2008 in Operation Iraqi Freedom. Unit: Army, Military Transition Team, 1st Brigade, 1st Infantry Division, Fort Riley, Kan.
Cpt. 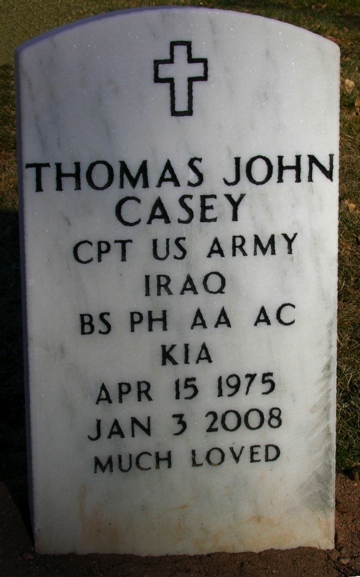 Thomas J. Casey of Albuquerque, N.M., was a graduate of the Albuquerque Academy and the University of New Mexico with degrees in Spanish and Portuguese. He also became proficient in the Korean language while in the military. He completed Army Airborne School and Officer Candidate School and was commissioned as a Second Lieutenant. He then underwent training to become a military intelligence officer, taking him to his final assignment of training Iraqi police and military forces. Thomas was a competitive swimmer in high school in New Mexico. His fitness was recognized by the U.S. Army when he received the President's Award for fitness. He had been retired 3 years from the Army after his first tour in Iraq. 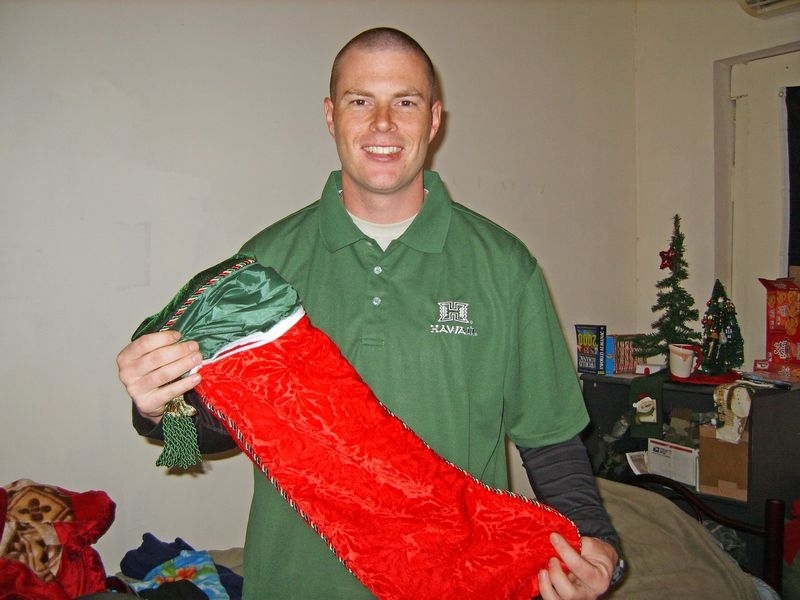 He re-enlisted last spring and was deployed to Iraq in the summer. He died in As Sadiyah, Iraq, of wounds suffered when insurgents attacked their unit using small arms fire during combat operations at age 32. FOR valorous achievement on 3 January 2008......."With complete disregard to his own personal safety, Captain Casey located the enemy sniper responsible and engaged him in order to provide cover fire for the attempt to recover his fallen comrade."